Calendula Officinalis is the principal remedy in homeopathy for wound healing. Calendula is the perfect topical application to put on open cuts. No germs can thrive in the presence of Calendula. It can draw out deeply embedded dirt. 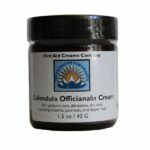 Calendula cream or butter is wonderful for minor cuts, scrapes and falls. Calendula prevents too early granulation of the wound, thus assisting in scarless healing. Calendula helps with painful wounds and wounds that tend to break open. Calendula butter is good for the diaper rashes of babies. Calendula cream or butter can soothe the dry skin of eczema and psoriasis. To see a slideshow and learn about the properties of Calendula officinalis, please click here. 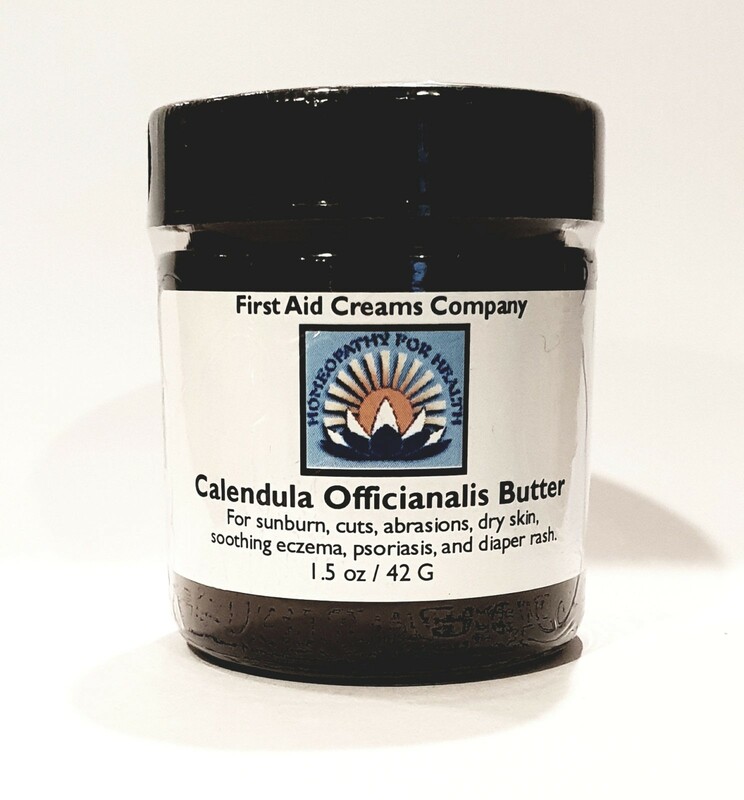 Calendula Officinalis Butter Ingredients: Organic Calendula officinalis oil HPUS, Deodorized Cocao Butter, Sunflower Oil, Olive Oil, and Vitamin E.
Label Indications: For sunburn, cuts, abrasions, dry skin, soothing eczema, psoriasis and diaper rash. "Whatever you can do or believe you can do, do it! Boldness has genius, power and magic in it."